This month we are attending the Newborn Photography Show so we thought we would focus on all things newborn and baby related. Today we’re starting off with a simple guide to becoming a newborn photographer. Maybe you’re brand new to the industry or perhaps it’s a genre you’ve always considered moving into but never knew where to start – this guide has got all the information you need. As a newborn photographer, you would specialise in taking photographs of babies from newborn to about one year old. 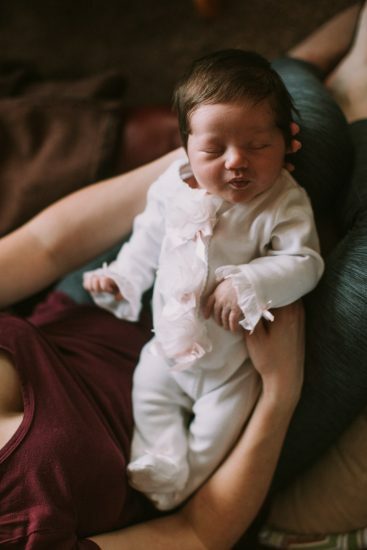 Typically, a newborn photo session would happen while the baby is under two weeks old as they are more likely to curl into “womb-like” poses, sleep heavier and are happy to be undressed and fed every two hours. Equally, babies under two weeks old are less likely to suffer from baby acne. 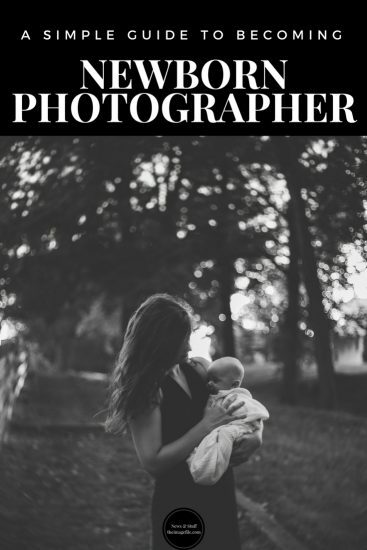 You might also be attracted to the idea of being a newborn photographer if you have your own children as most sessions are scheduled during the week. This is usually due to the days being quieter and more convenient for new parents, but would also be easier for you as a parent, as your own children will most likely be at school and therefore, will keep your weekends free. There are generally two main types of newborn photography; studio (also known as styled) and lifestyle. A studio session tends to be booked before a baby’s two-week mark as they still move into the iconic curly positions and are happy to be unclothed. It’s become increasingly common for a studio newborn photographer to use props in the session, such as bean bags, buckets, baskets and to provide clothing such as wraps, blankets, hats and headbands. For a studio session, most newborn photographers will book a four-hour session which is usually plenty of time to include breaks and pose changes. Typically, the images are edited in software such as Photoshop or Lightroom so that the baby looks perfect and angelic. Alternatively, a lifestyle session is much more casual and can accommodate babies up to six weeks old. The aim of a lifestyle shoot is to capture natural images of a baby and parents within their home environment. This often includes close-ups of the nursery furniture and accessories as well as the use of lots of natural light. Most lifestyle sessions also include activities such as feeding time, bath time and cuddles. This type of session usually lasts about 1-2 hours as there are fewer pose changes and no need to use props etc. They suit your personal photographic style e.g. vintage, pastel, modern, simple, minimal, colourful etc. They are inspired by the family and their home e.g. classic, traditional, contemporary, eclectic, cosmopolitan, rural etc. They are inspired by the colours in the client’s home e.g. neutrals, soft blues, baby pinks, bright pops of colour, earthy tones. The use of appropriate props is really important not only so that your overall portfolio looks succinct but also because the images will most likely end up being showcased on the client’s walls and therefore need to suit their overall style too. When you are photographing newborns make sure you get images of both parents with their new baby. 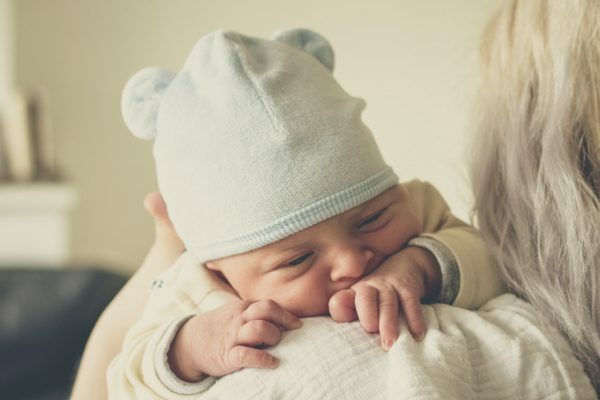 Babies are such exciting novelties when they arrive that most parents spend every waking moment capturing everything their newborn does – from sleeping to eating to bathing but often forget to capture themselves with their new bundle. This is your chance to get some really special images of both parents with their new baby. 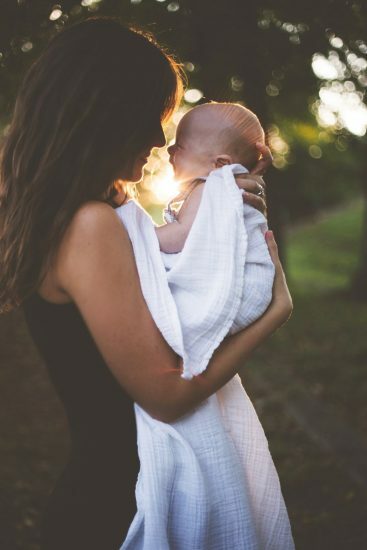 However, remember that a lot of new mothers might still be quite uncomfortable in themselves, after all they have been through a very overwhelming experience and might not look or feel the way that they used to, not to mention many new parents feel very nervous with their new baby so make sure you don’t rush them and try to be as understanding as possible. Equally, if the new baby has brothers and sisters try to include them in the session too. It is recommended that the sibling and baby shots are captured at the beginning of the session as toddlers and young children struggle to sit still for long. It’s often best to get them out of the way first so that they can spend the rest of the session playing. Schedule newborn sessions in the morning as babies are much happier to be moved and unclothed after a good sleep. Make sure the baby has had a feed before you start the session so that they are more likely to be warm and comfy and therefore snuggle down with a full tummy and sleep. “Natural” light is always best even if it’s helped by a little artificial lighting. But beware of flash photography! It tends to wake sleeping babies! Most newborn photographers suggest that parents book their session while still pregnant and for a date about one week after they’re due. If the baby then arrives a little early or late the date can be adjusted to suit. Prices for newborn studio sessions (2-4 hours of coverage) start around £75. Generally, the idea is that you cover your costs with the fee, but do such a great job that you make your money from the sales generated from the shoot. All of the features on theimagefile are designed to help every photographer, regardless of their specialist genre. However, we primarily help newborn photographers in two simple ways. Many newborn photographers offer special discounts during certain times of the year to boost business. These major holidays tend to be Christmas, Mother’s Day, Father’s Day and Valentine’s Day. Every year we provide page sets that can be customised and downloaded into your website to promote your seasonal offers and discounts, or alternatively, you can just use them for inspiration. Equally our packages feature is perfect for helping newborn photographers boost sales with discounts and special offers. Some of the best aspects of packages include being incredibly easy to set up, being able to include sale items in the package (making certain products even more special) and being able to use any package as a trigger for further discounts and encourage even more sales.